The return of the Western Balkans to the “European home” is imperative for the sake of its full stability and progress, which requires stronger support for democratic and infrastructural development, concluded during the meeting in Podgorica, Montenegrin President Milo Đukanovic and OSCE Secretary General Thomas Greminger. Đukanovic expressed satisfaction with the quality of cooperation between the OSCE and Montenegro and welcomed the continued attention and support that this organization dedicates to the country. 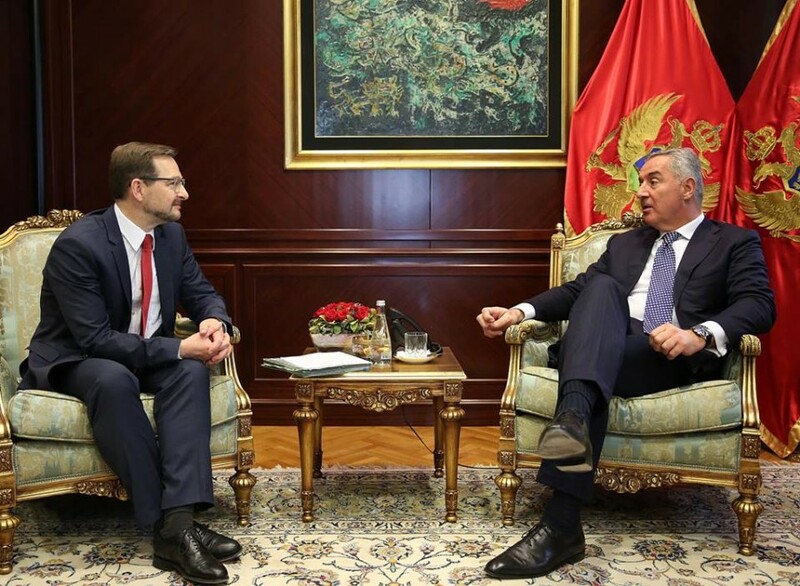 “We are particularly grateful for the benefits of cooperation that Montenegro has made as a member of the OSCE since the renewal of independence, which relates to the democratic empowerment of society, security and democratization, respect for human rights, electoral legislation and the improvement of media legislation”, Đukanović said. He recalled the success of overcoming all the challenges in the past period, which is best reflected through the admission of Montenegro to NATO, the leadership position in the negotiation process and dynamic economic development. “We must firmly continue with the reforms, we are fully committed to the institutional development and further improvement of the rule of law”, Đukanović said. In line with an innovative approach to the organization’s work, Greminger emphasized security, institutional strengthening, and media reform as key areas in future cooperation. “I am here to confirm our commitment to continue supporting the reform processes in all areas, especially in the area of ​​media and electoral legislation”, Greminger said. He also stressed that Montenegro is leading the region in the implementation of reforms on the road to the EU, stressing that Montenegro is not only an island of stability in the region but also a promoter of stability and cooperation, which is highly valued by the OSCE.